10mm. 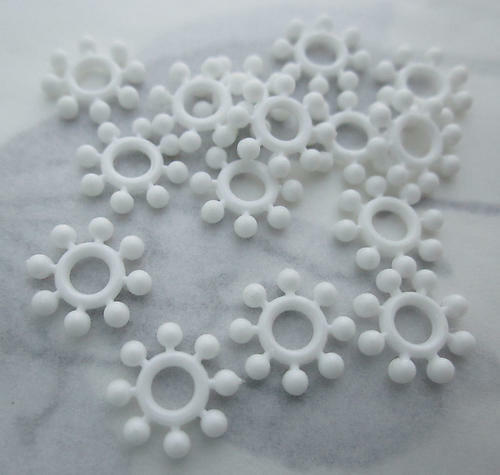 Vintage plastic white flower beads. New old stock. Jewelry supplies.